gathers and dances outside the legendary Apollo Theater in Harlem, New York. The basic idea underlying the concept of Pan Africanism is that of cultural awareness and connection leading to mutually beneficial cooperation between people of African descent throughout the Global Village. It is a concept which those who are possibly more politically, philosophically, and economically motivated have promoted at least since the year 1900. One of the ways this powerful theory has met with notable success in practice has been in the area of music. To help ensure the viability of African-American music in particular, famed music producer Kenny Gamble and broadcast executive Ed Wright in 1979 persuaded then President Jimmy Carter to declare June as Black Music Month. The crowning event that year was a celebration concert held on June 7 at the White House. Featured on that occasion were representatives of the broader spectrum of black music, from the rock and roll rebel guitar of Chuck Berry to the sacred harmonies of gospel choirs. The producer’s interviewer, Ms. Williams, played an integral role herself in the establishment of the observance. President Carter’s 1979 declaration did not declare Black Music Month as an ongoing annual event. That did not occur until Williams reportedly co-wrote, with Rep. Chaka Fattah (D-PA) of Philadelphia, House Concurrent Bill 509, which sealed the official deal in 2000. Nevertheless, each president since Mr. Carter has recognized June as Black Music Month. 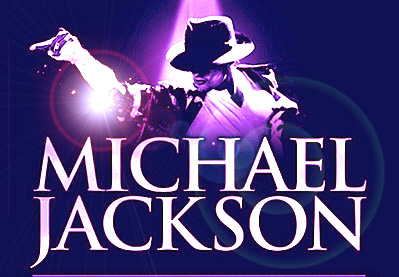 It took on deeply poignant significance with the death of Michael Jackson in June 2009. In addition, the loss in recent years of other iconic figures such as Whitney Houston, Abbey Lincoln, Lena Horne, Donna Summer, and Don Cornelius have further magnified the value of the legacy. African-American music links cultural legacies around the globe (part 1 of 3) – National African-American Art | Examiner.com. Following Michael Jackson’s death in 2009, I wrote a series of blogs and articles to which thousands of websites–and more like two million where one article was concerned– linked or simply “picked up” to add quality content to themed pages studded with ads. Most of the time, I was happy to see this because I knew how personally many of Jackson’s fans experienced his loss. I felt (and still feel) honored that they drafted me into such groups as Counterbalance: Honorable Journalists, Writers, Articles and translated my writings into different languages to give voice to their grief, bewilderment, and love. In short, my work came to function as a form of global community service and I was comfortable with that. What I could not appreciate were those sites that used my titles and/or text to draw traffic toward them without links to the original piece or any reference at all to me as author of the work presented. And yet there their digital counters were flashing the number of visitors the site had entertained and giving some indication of the revenue that I and other unacknowledged writers had helped generate for them– without so much as a nod or mumbled “thank you” in our direction. Why was that? Pens, pencils, keyboards, notebooks, and the eternally classic legal pad have long reigned over numerous writers’ passions whether or not said writers received payment for their finely-phrased ponderings. For those of my particular literary species, writers are words’ uncompromisingly dominated lovers and there is rarely much we can do except cater to their various whims and desires. This passion lends itself well to the modern need to provide such “free writing” as the ongoing blogs and occasional reviews that help both to advertise one’s published works and to cultivate relationships with readers who might choose to invest in the same. Yet inside the public arena known as the digital-age literary marketplace, personal passion joyfully shared is only one major point of consideration. How many volumes of journals have been discovered following the deaths of individuals who never promoted themselves as writers but who nevertheless proved, after the conclusion of their muted lives, to have been extremely prolific and mesmerizingly eloquent? How many manuscripts authored by “minor” talents have been “discovered” after the lives that produced them no longer inhaled or exhaled with barely-controlled creative ecstasy and later became bona fide bestselling traditionally published books? Or even more impressively: were adapted into celebrated films? The physical, mental, and spiritual labors of those marginalized writers may have been under-appreciated while they lived but afterwards somehow magically blessed publishers with stronger catalogues and profits, provided teachers with the tools of their teachable moments, and created jobs not only for the actors performing in movie adaptations but for numerous others in the industry as well. Why should everyone have gone off skipping and singing to the bank except the author who laid the groundwork for their gleeful song and dance? The current success of Stieg Larsson’s Millennium Trilogy is only one example of the syndrome in question. So is John Kennedy Toole’s A Confederacy of Dunces, Franz Kafka’s The Trial, and many others. To write for free or not to write for free is largely a question those whose only motivation for writing at all is money. Those who find their thoughts, conversations, and most intimate moments of interactive pleasure suddenly taken over by the need to transcribe a sudden revelation, a re-surfaced memory, or a glimpse of bright possibility into structured meaning have no choice. At the risk of sounding pretentiously grandiose, we write because writing is more something that we oddly are than something which we painstakingly do. So far as professions go, the impulse to constantly write too often feels like an unforgiving curse of divine enchantment and many struggle to transform that curse into a blessing of mundane pragmatism. With the ability to refrain from writing apparently snipped from our DNA, the more essential question becomes this: whether or not one should allow various media outlets to publish one’s writings for free? The question is as legitimate, relevant, and ethical as such questions get for many reasons. So is the answer, which includes considerations of standards, experience, informed perspective, time, intellectual quality, and readership. Who can afford either the financial or the psychological cost of presenting him- or herself as someone utterly lacking in value? The payment doesn’t always have to be money but certainly there should be payment of one appropriate kind or another. How such payment is secured now depends largely on how well authors inform themselves about the changing dynamics of the digital and traditional literary marketplace. Those passion-driven authors determined to carry on their hot or cool love affairs with the written word will do exactly that regardless of the cost. Who knows: the love gifted to an unknown literary work today just might provide the sanity that helps save the world tomorrow.